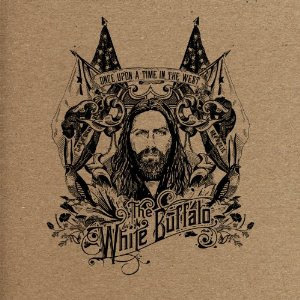 2012 release from singer/songwriter Jake Smith and his White Buffalo project. The songs on Once Upon A Time In The West are rooted in everyday struggles, on both epic and personal scales, with elements of Blues, Country & Western, Folk, and Classic Rock. The influences of story-tellers like Bob Dylan, Waylon Jennings, Townes Van Zandt, Elliot Smith, Leonard Cohen, Tom Waits and Bad Religion shine through. The album ranges in themes from slices of life in the shadows to coming out of a battlefield to dark heroic fantasies.